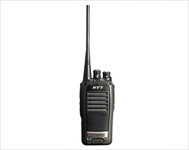 The Newest TC-500 radio, as one of CBRS series, (Citizen Band Radio Series) inherits HYT excellent quality with minimum budget. Palm Size with non-keypad, lightweight and fully embody its wisdom. They are applicable for Car Racing, Hotel & Restaurant, Supermarket & Warehouse, Entertainment Sport, Tourism & Service Line, Retail & Wholesales Industry, Agriculture & Farming Industry, Mini-type Construction Site and Residence Safeguard Management. Radios for use in the potentially explosive environments of oil and gas installations, such as tankers or drilling platforms, or in gas-laden atmospheres encountered by the emergency services are designed and constructed to be totally safe. 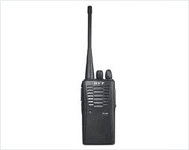 HYT 's FM-approved professional portable radios give team members instant access to one or many colleagues at the touch of a button, without compromising safety, and allow constant contact should a critical situation need resolving. TC-620 is the option customized for users in property management, hotel and service industries. 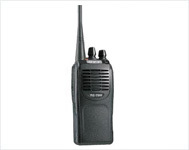 In addition to the versatile functionality, superior audio clarity & strong penetrability easy operation, and high performance-to-price ratio characteristics, the innovative and ergonomic design makes the TC-620 satisfy users' requirements for communication as well as pursuance for good look.